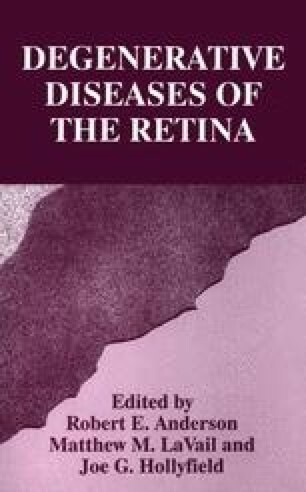 It is the silver anniversary of the isolation of Drosophila retinal degeneration mutants. The genes are still of substantial interest. Progress in neurobiology, developmental genetics and signal transduction has intensified as new molecular biology methods are applied. Retinal degeneration mutants display substantial cell death, informative by its specificity and its relationship with the visual excitation cascade. Other visual mutants best known for defects in visual pigment or phototransduction have various dystrophies. Light treatments and carotenoid deprivation also result in well-defined photoreceptor cell abnormalities. Since retinal degeneration in Drosophila was recently reviewed (1, 2, 3), the purpose of this paper is limited to presenting an overview and our recent data.